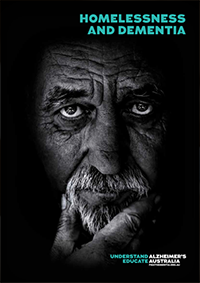 There are significant numbers of people in the homeless population with cognitive impairment, including dementia. Yet little is known about this population or their needs. This resource aims to begin to address these knowledge gaps, and provides information which could help improve services and outcomes for people with dementia who are homeless. This discussion paper is based on the work of the Dementia Australia SA Service Access Liaison Officer (SALO) project, funded by the Australian Government under the Service Development Pathways Project. It is based on extensive consultations with homelessness service providers and other informants in South Australia, and with other relevant projects across Australia; and also draws on a review of relevant literature. The findings of this project align with those of another recent project on dementia and homelessness undertaken by Dementia Australia VIC. The link between dementia and the social causes of homelessness. The numbers of people diagnosed with dementia increases every week. 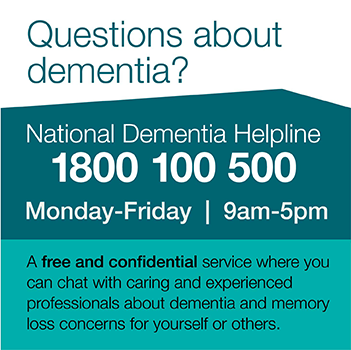 Currently there are more than 332,000 people in Australia living with dementia. This number is predicted to rise by one third over the next decade. It is also estimated that more than 24,000 younger people are living with dementia. At the same time significant numbers of Australians are experiencing homelessness. These are people in vulnerable situations who face great challenges in accessing good brain health interventions and access to robust and appropriate dementia services and support, at a time when they need it most. The link between dementia and the social causes of homelessness are highlighted in the video below produced by Dementia Australia SA.